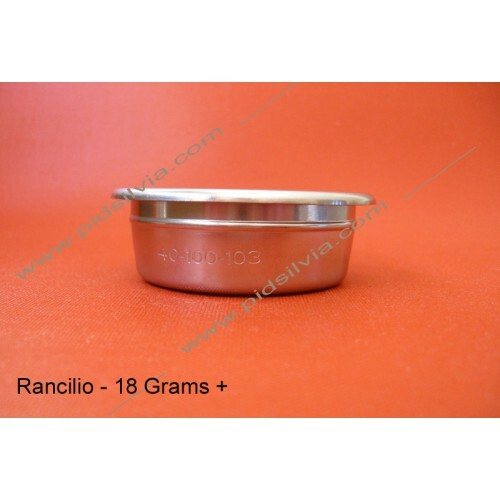 Rancilio 18G Triple Dose Basket, 40-100-103 - This is not the 14 grams double dose basket. Read this basket page before placing an order. One 18G Triple Dose Basket, #40-100-103. Basket is the same or better in quality as the 102 basket. Basket will fit all Rancilio Pertafiltrs, closed or open bottom. For more information, check this basket page.